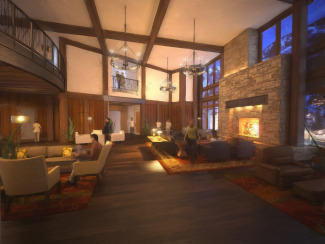 Luxury residence club and resort developer, Timbers Resorts, has recently introduced its own exchange program. Owners can now stay at any of the seven Timbers Collection properties, even if they own at just one resort. Timbers Resorts was started in 1998 by David Burden and combines hassle-free second-home ownership with the services and amenities of a five-star hotel. The current properties in the Timbers Collection include One Steamboat Place in Steamboat Springs, Colorado; The Preserve at Botany Bay on St. Thomas in the U.S.V.I. ; Castello di Casole in Tuscany, Italy; The Rocks Luxury Residence Club in Scottsdale, Arizona; Esperanza Resort in Cabo San Lucas, Mexico; The Timbers Club in Snowmass, Colorado; and now The Orchard at The Carneros Inn in Napa Valley. The first two of these are still under development, with One Steamboat Place nearing completion. This new reciprocity system, called the Timbers Reciprocity Program, allows owners to research available dates and locations online, and then to trade vacation weeks at their home property for vacation weeks at other Timbers Collection destinations. Members deposit a week of their own time at their own resort and then can withdraw a week at one of the other locations. There is just a $250 facilitation fee for each withdrawl. The concierge at the property selected will then contact the member to discuss pre-arrival needs and help plan their vacation. Timbers has categorized weeks into three levels: Prime, Choice and Select. By depositing a week at a given level an owner can then withdraw a week at either that level or the lower levels. All weeks are traded on a one to one ratio regardless of unit size or location. David Burden Founder and CEO of Timbers Resorts said Timbers Collection owners value the special and intimate luxury experience that has been created at their own Timbers developed resort. They want to experience those same benefits from time to time at other Timbers' properties while ensuring that the same respect and care occurs at each exchanged property." Fractional exchanges and trading programs are a great value for owners. Larger private residence club companies such as Ritz-Carlton and Four Seasons provide their own exchange programs and Timbers is stepping into this category. There are also several independent exchange companies that facilitate exchanges between owners, you can read about some of them in an earlier article. If youre looking into buying into a private residence club or fractional home then ask about the exchange opportunities. You might not want to exchange for your first few years of ownership, but a few years down the road the chance to travel to new locations will be much more appealing.